Authorities in Mauritania should promptly and safely release a blogger who remains in detention despite an appeal Court’s decision one year ago tomorrow to commute his death sentence, Amnesty International, Human Rights Watch, Freedom Now, the Forum des organisations nationales des droits de l’Homme en Mauritanie and 28 other human rights groups said today. Mohamed Cheikh Ould Mkhaïtir, 35, remains in custody in an undisclosed location, with limited access to his family and no access to his lawyers, after authorities failed to implement an appeal court ruling for his release granted on 9 November 2017. “Continuing to detain Mohamed Mkhaïtir demonstrates serious contempt for the rule of law by the Mauritanian authorities. He is a prisoner of conscience whose life is in the hands of the authorities solely because he peacefully exercised his right to freedom of expression,” said Kine Fatim Diop, Amnesty International’s West Africa Campaigner. Mkhaïtir was initially arrested on 2 January 2014 after he published a blog in December 2013 that spoke of slavery and discrimination, including against the blacksmith caste, which he belongs to. Following the publication of the blog, mass protests calling for Mkhaïtir’s execution for ’blasphemy’- one of which the Mauritanian President addressed sympathetically– took place across the country. Mkhaïtir ‘’repented’’ on several occasions during his interrogation by police and in a written statement dated 11 January 2014. His trial started on 23 December 2015 and he was charged with apostasy and insulting the Prophet Muhammad, before being sentenced to death the following day. On 9 November 2017, an appeal court reduced his death sentence to two years in prison, which he had already served, and a fine. In March 2018, the Mauritanian Minister of Justice Mokhtar Malal Dia said in an interview that “the blogger Mkhaïtir is still held somewhere in Mauritania’’. 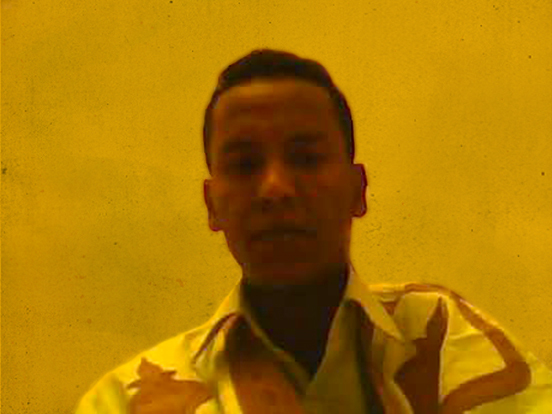 In May, Mauritanian authorities informed the UN Committee on the Elimination of Racial Discrimination that Mkhaïtir was in “administrative detention for his own safety”. For nearly a year, his lawyers have repeatedly requested to visit him, but they have still not received an answer from the Minister of Justice. Mkhaïtir is currently believed to be unwell and in need of urgent medical care. “Rather than respecting the court order, authorities have refused to acknowledge the whereabouts of Mkhaïtir and deprived him of contact with the outside world,” said Fatimata Mbaye, human rights defender and Mkhaïtir’s domestic lawyer. The United Nations has on several occasions criticized the detention and death sentence of Mohamed Mkhaïtir. In June 2017, the UN Working Group on Arbitrary Detention concluded that Mkhaïtir’s trial was unfair, his detention arbitrary, and that Mauritania was in violation of international law. In May 2018, six UN human rights experts expressed grave concerns about Mkhaïtir’s continued detention. “This case is emblematic of the Mauritanian government’s repression of freedom of expression and information, particularly human right defenders campaigning against discrimination and journalists covering the illegal use of slave labour,” said Kate Barth, Freedom Now Legal Director. The Mauritanian National Assembly passed a law on April 2018 that replaces article 306 of the Criminal Code and makes the death penalty mandatory for anyone convicted of “blasphemous speech” and acts deemed “sacrilegious”. The new law eliminates the possibility under article 306 of substituting prison terms for the death penalty for certain apostasy-related crimes if the offender promptly repents. The law also extends the scope of application of the death penalty to “renegade acts.” The timing of the enactment of the law just a few months after the court of appeal ordered Mkhaïtir’s release appears to be related to his case. Mauritania has ratified numerous international human rights treaties including the International Covenant on Civil and Political Rights, the Convention against Torture and the African Charter on Human and Peoples’ rights that protect the right to life. The death penalty is the ultimate cruel, inhuman and degrading punishment. The United Nations Human Rights Committee will conduct a review of Mauritania’s compliance with the International Covenant on Civil and Political Rights in 2019.